Banking Beyond Borders is our slogan… it has pushed us beyond many limits; it has made us go farther and further. With this in mind Bank of Beirut has penetrated 4 continents and a number of countries through different subsidiaries regulated by the Financial Services Authorities “FSA” for the wholly owned, Bank of Beirut (U.K.) Ltd and its Germany branch in Frankfurt; regulated by the Central Bank of Cyprus for the Limassol branch; and by the Central Bank of Oman for the 5 branches, in Muscat, Ghubrah-Shatti Al Qurum, Sohar, The Wave, and Barkaa. We have even reached the Land Down Under with Bank of Sydney and its 16-branch network. 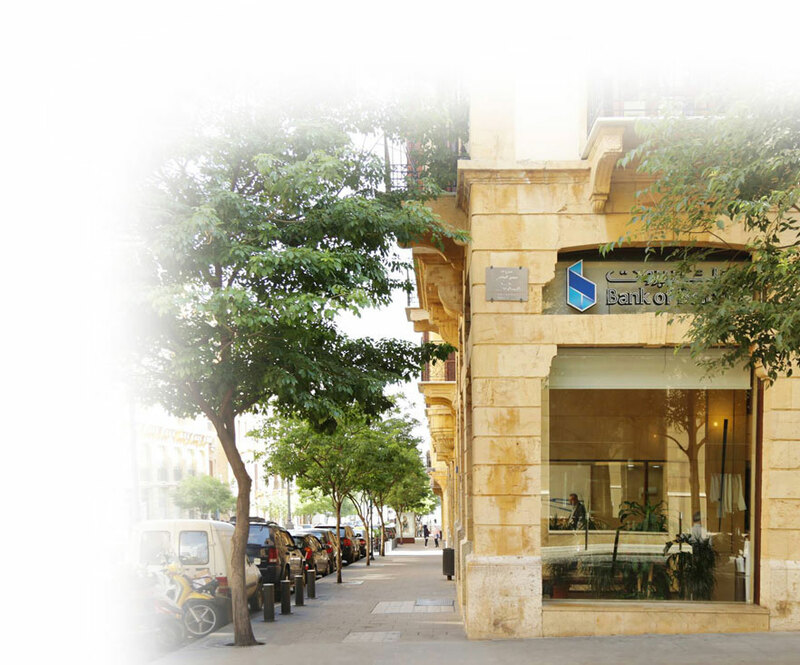 On the domestic level, Bank of Beirut operates through a local network of over 70 branches extended throughout the Lebanese territory. Bank of Beirut also boasts its representative office in the United Arab Emirates (Dubai) to service the Gulf region and representative offices in Nigeria and Ghana. In addition to being a universal Bank offering commercial banking, asset management, capital markets services and consumer banking, we were the first Bank to initiate the B-Smart self-service Digital Branches, with innovative solutions. Through our Smart Branch network, we provide services 24h 7/7, in addition to being the first Bank in Lebanon to initiate long opening hours till 10 p.m. 7/7. The traditional Branch was converted into a Hybrid Branch by retaining a small scale of traditional banking whilst increasing the digital services to cater to the large Bank of Beirut Flagship in innovation. Along with the traditional, Smart and Hybrid Branches, we have also introduced Satellite Branches in remote areas combining both traditional and digital banking, by placing at our customers’ disposal digital self-service; account opening as well as applying for loans through video conferencing facilities with our Contact Center, available 24/24. We have even erased the limits of our material world and made it blend within the virtual one through on-line services and the next generation of Automated Teller Machines, with instant Cash and Cheque Deposit Machines (CCDM) offering customers the most flexible universal banking access. We are the providers of efficient banking services and competitive products targeting mainly affluent individuals and SMEs, selective sizeable investment projects and local “prime” corporations. We are well advanced in insurance consulting and brokerage through our “Beirut Broker Company s.a.r.l.” and Beirut Life s.a.l. We may also boast being second to none or among the best in more than one field. Bank of Beirut was the first Bank in Lebanon to launch Asset Management services targeting high net-worth customers in both domestic and regional markets. 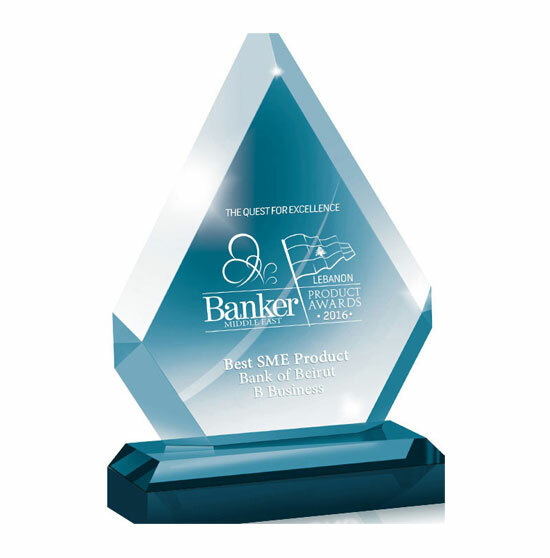 Bank of Beirut is acknowledged in the important list of the “Fast Movers” banks in the world and has become, in Lebanon, the leading provider of business on line and cash management services to commercial corporations. The Bank maintains an excellent transparent profile and is compliant with international banking standards and regulations. Through “Capital Intelligence”, a private company certified by the Central Bank of Lebanon, Bank of Beirut achieved a Governance & Integrity Rating (GIR) score of 80%, jumping 67 points and reaching the Excellent range (A-). Corporate Social responsibility is at the very heart of Bank of Beirut undertakings. We have landed “Best CSR Initiative” with our Young Achievers Program (YAP) and are continuously venturing into new fields, crossing the university thresholds to offer the youth the best opportunities that can be provided. Assistance to the less privileged through our dedication to the society we live in, the Bank opened its wings to encompass Caritas various support programs. Acknowledged for its keenness to be socially responsible towards the community, Bank of Beirut established in 2016 a two-year exclusive key partnership with the Lebanese Red Cross, “Banking for Good”, and its life-saving mission, a worthy cause to the benefit of our society. We, at Bank of Beirut are committed to offering an unparalleled Customer Experience as we understand that this is only the beginning since our mission goes Beyond Borders. We are a universal financial institution committed to serving the broadest range of clients by offering them a full array of personalized first-class banking services and products in addition to a full-fledge digital banking experience. Our commitment to achieving our goal is embedded in providing service excellence and customer satisfaction. Domestically, we intend to continue to increase our market share by expanding our delivery channel network and providing our customers with a variety of innovative digital and non-digital first-class services and products. In foreign markets, we intend to further boost our commercial and correspondent banking activities with emphasis on the MENA region and the Lebanese Diaspora, by placing our international subsidiaries and branches at their disposal. Our commitment is the result of our trust in the dedication of our human capital, the confidence of our shareholders, the interests of our customers and the welfare of the communities that we serve. Shareholders’ Fulfillment: Unceasingly endeavoring to provide our shareholders with a respectable return on their investments while minimizing risks. Customer Satisfaction: Continuously striving to anticipate and satisfy our customers’ needs and to develop long-lasting relationships with them. Employee Satisfaction: Offering our staff members an agreeable working environment along with professional development opportunities. Integrity and Trust: Conducting the transactions of our shareholders in the strictest confidence through utilizing the highest ethical standards. We have even reached the Land Down Under with Bank of Sydney and its 16-branch network. We, at Bank of Beirut, understand that this is only the beginning since our mission goes Beyond Borders.